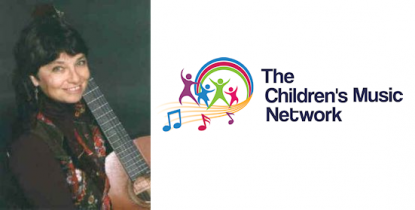 Members of the Children’s Music Network will lead a round robin sing-along featuring songs that invite everyone to join in. Children are especially encouraged to share a song, but everyone is welcome to contribute. With sing-alongs, move-alongs, finger plays, and singing games, this is a session for people who love to sing with children of all ages and are looking for songs that invite participation in lots of ways. Come to share, come to listen, come to sing! Hosted by Bonnie Lockhart and The Children’s Music Network. The Children’s Music Network (www.cmnonline.org) is a national non-profit that celebrates the positive power of music in the lives of children by sharing songs, exchanging ideas, and creating community. Membership includes full-time and part-time performers, songwriters, classroom teachers, music educators, librarians, storytellers, record producers, distributors, broadcasters, parents, grandparents, and children. We sing, share, teach, write, play, perform, produce and enjoy children’s music.